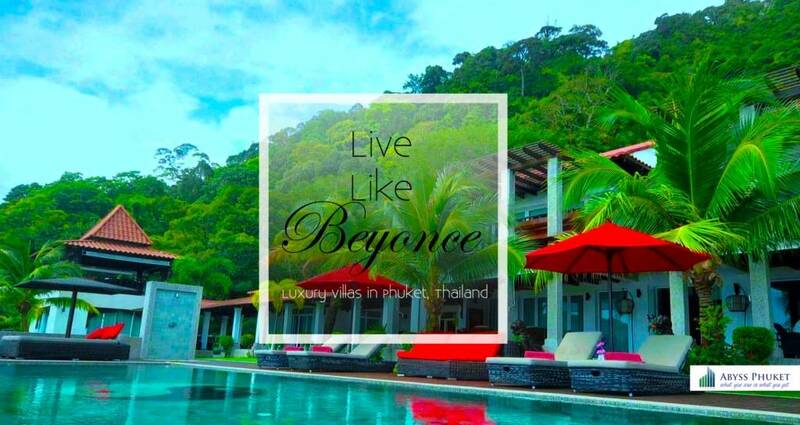 Phuket has been the number one destination in Asia for Celebrities. Whether searching for the fairy tail getaway or the inspirational serenity and comfortable luxury, they all choose Thailand! Thailand is recognized world wide for it’s body treatments mainly because of the famous Thai massage, herbal baths, meditation and the continuous pursuit of inner and outer beauty. This is why it hold the title of Spa Capital of Asia. 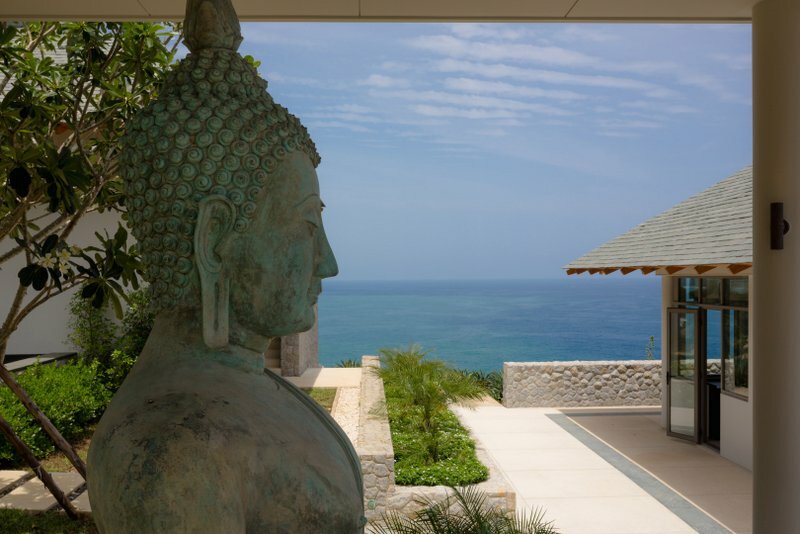 Destination Spa – When you mix the body pampering with meditation and yoga, you get a Spiritual experience. It’s normally a 2 to 3 days retreat involving detox meals, mainly vegan and organic food and participating in activities such as yoga classes, meditation circles and massage programs. Medical Spa – Normally inserted in a Hospital or a Clinic, the medical spa provides medical counseling and treatments by certified health professionals, following a more western medicinal procedure. Hotel and Resort Spa – It’s basically any spa in a Hotel or Resort. 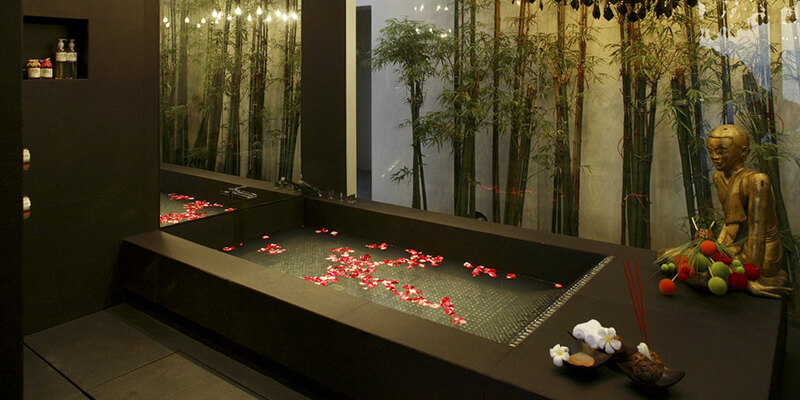 There’s a great feature about this style of spa. If you’re a guests in the Hotel, you can have access to vouchers with amazing discounts and promotions for all Spa Treatment’s. Day & City Spa – You only need 30 min a day to relax your body from city stressed life. All major cities have hundreds of Day Spa options. In New York and London is very common to go for a neck and shoulder massage on your lunch break. Word of advice: if you have to go back to work, stay away from a Relaxing Massage and choose an Energy Boost Massage. Mineral Spring Spa – Like any other touristic attraction, Mineral Springs have been a very common destination for several generations. It is mainly recreational but it’s been said to be extremely effective among patients with skin or bone diseases. Cruise Ship Spa – Isle hoping in South East Asia can be a delightful experience, specially if you’re in a Cruise Ship Spa. 2 hours until the next stop? Hit the Spa! Club Spa – When Physical Exercise meets relaxing treatment. Most athletes avoid cramps and muscle tension by having a relaxing massage after training. But there’s still another style of Spa Vacation, mostly chosen by Celebrities, Politicians, Football players and Artists. 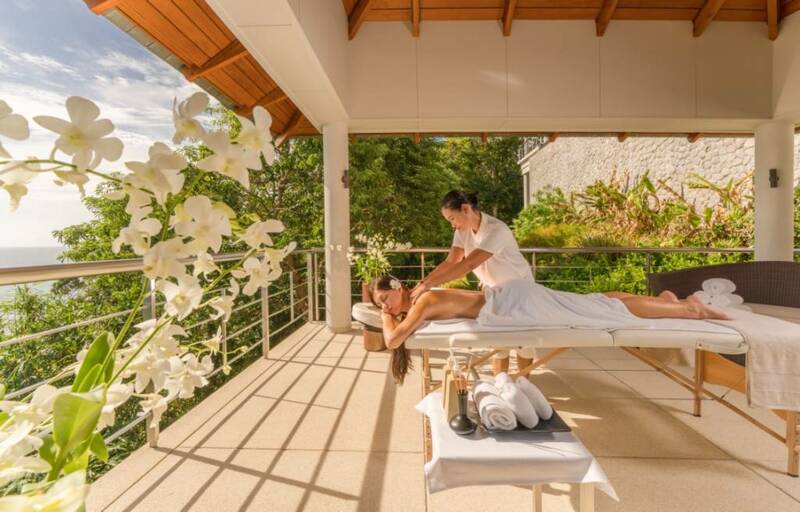 For those who prefer a more private and secluded spa experience in Phuket, the island holds the most luxurious villas served with exclusive 24h in loco massage therapists and Chefs, ready to make all your dreams come true. The Yin Yang Villa in Kamala surely stands up for it’s name. 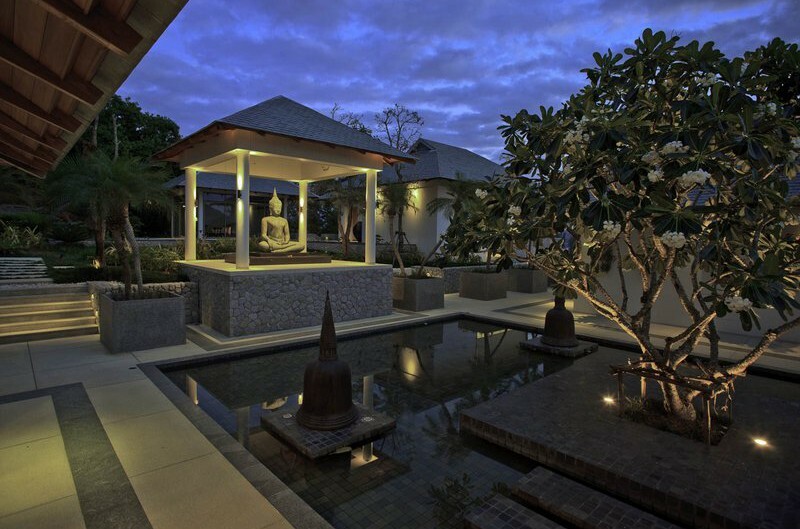 This 4 level exquisite work of art was designed by the renown Thai architect Charupan Wiriyawiwatt of Hong Kong-based Naga Concepts and it mixes elements of classic Thai architecture and a dazzling collection of contemporary art with an ultra-luxury design approach. The state-of-the-art Villa Yin kitchen from Minotti, Italy, winner of Wallpaper Magazine’s Kitchen of the year 2006 and other luxury features such as wine cellar, sauna, massage room and home cinema all add to the beautifully appointed outdoor dining and chill out area with a 18-meter marble pool and expansive entertaining platforms. Serviced with in house Spa Treatment staff and a full time Chef, plus three live-in butlers and maids, you’ll have the most private luxurious escape one may dream of. 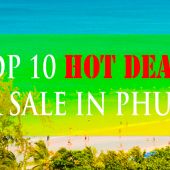 Rates start at 765 USD/night in low season and go up to 2 843 USD/night in peak season. 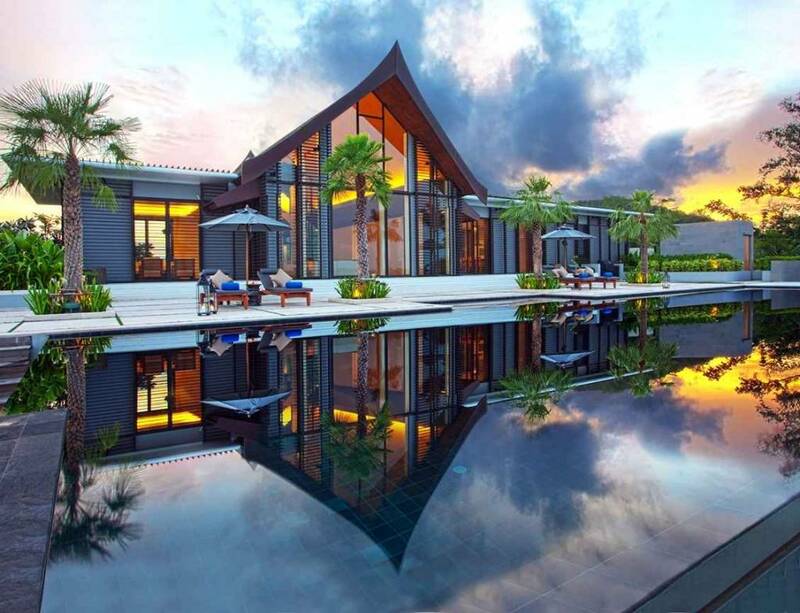 Part of the exclusive private development of Cape Yamu, a design collaboration by accomplished architects Jean-Michel Gathy and Phillipe Starck, this is a perfect symbiosis of a contemporary and Thai style villa. Boasting over 4,000 sq.m. of indoor and outdoor space, across 3 acres of perfectly manicured tropical gardens, this 8-Bedroom beachfront villa offers unobstructed ocean views from every room. The five star services such as a gourmet chef to meet all types of cuisine and 24 hour concierge to arrange all of your excursions, yacht charters and in house requirements, including private spa treatment staff. 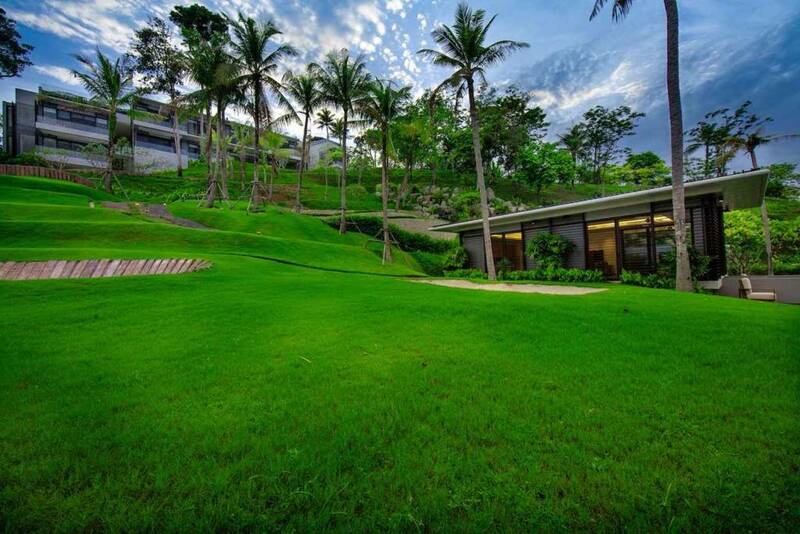 The green open spaces surrounding the property and the direct access to the beach gives it an extra luxurious touch. Tai Chi in the gardens, Yoga down by the beach, a 4 hand Thai massage near the pool and an evening drink in the sun deck, are just some ideas of how you can spend your days in this “Thai Palace”. 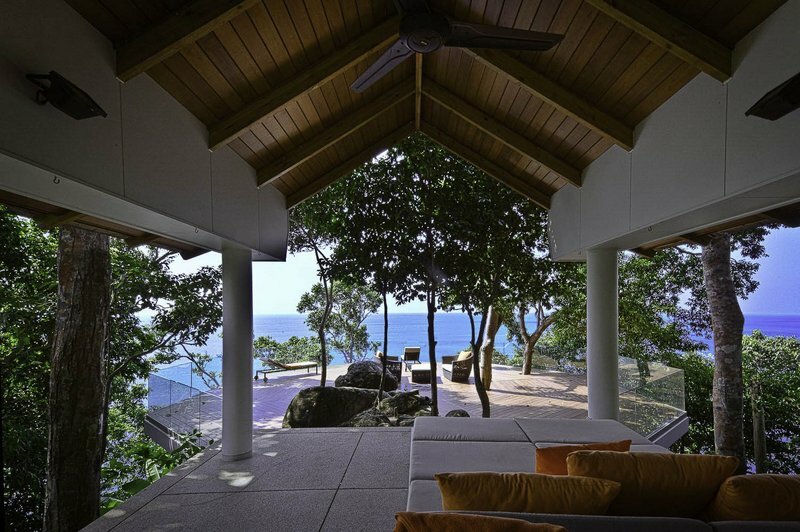 This luxury villa for rent in Phuket has an eclectic mix of Asian and Western furnishings that will immediately put you at ease on your arrival. You are spoilt for choice when considering where to relax at any particular time of the day. The Sutherland Teak chairs on the balcony provide a cool place to sit and read under the awnings, while the expansive pool deck with Dedon beds provides the perfect spot to top up your tan or snooze under the umbrellas. The Balinese outdoor wooden table seats 12 and is ideal for a barbeque or a lazy breakfast, while the dining room with its solid teak table and views out over Surin Beach offers a cooler option. A range of soothing and rejuvenating spa treatments and massages provided by therapists from recommended local spas can easily be arranged at the villa. Professional massage beds are available to be placed wherever guests’ chose to have their treatment. Villa Chan Grajang’s gym is located on the lower level of the villa and is equipped with free weights, an elliptical machine and a rowing machine. Guests are welcome to use the facility at any time of day. Rates start at $1,575 USD/night for a 3 bedroom Villa in low season and go up to $5,500 USD/nigh for a 6 bedroom property in peak season. 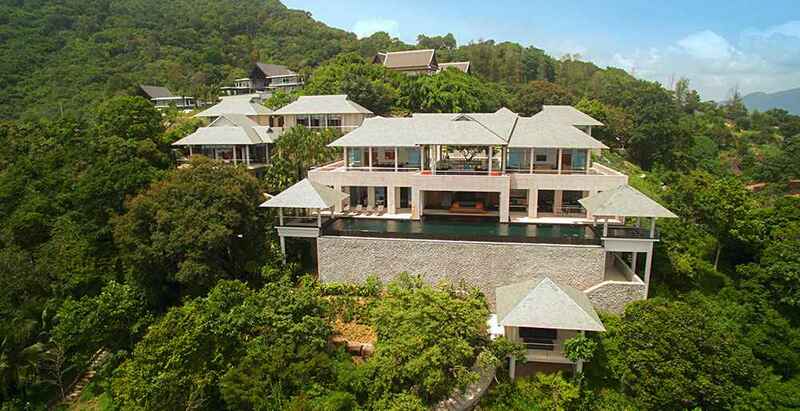 Baan Paa Talee is a superb nine-bedroom luxury villa designed by Paris-based architects Arte Charpentier. 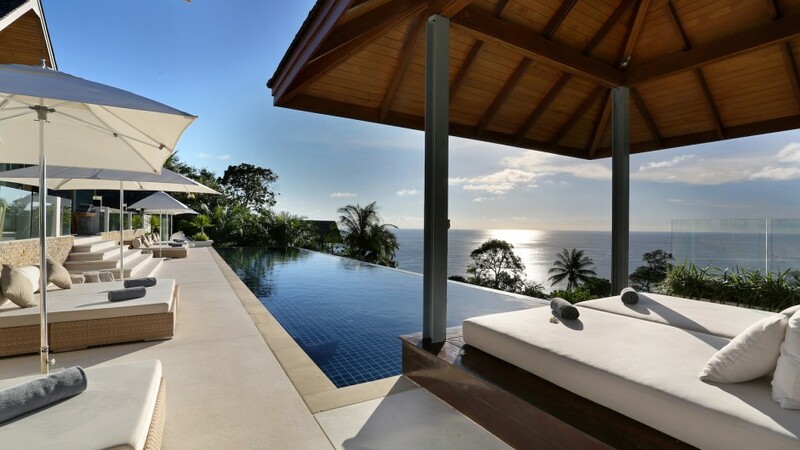 The exquisite oceanfront property is overlooking the Andaman Sea on the picturesque Cape Amarin estate, just a short 15-minute drive from the beaches of Kamala and Patong on Phuket’s scenic west coast. 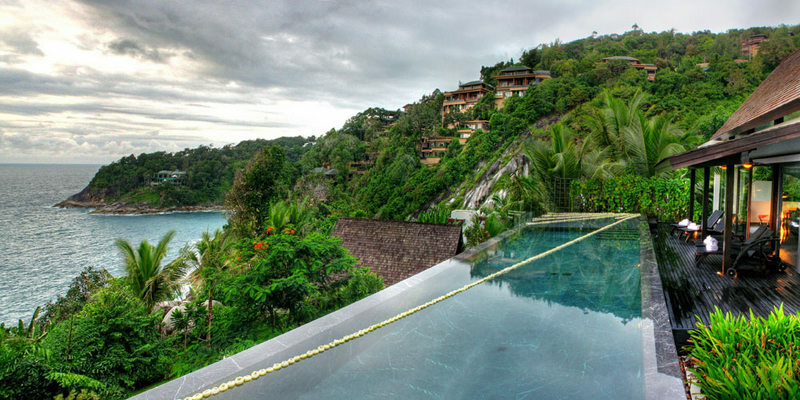 This enormous piece of Heaven is arranged over four levels, each connected by stepped pathways that wind their way through lush gardens cascading down the hillside towards the ocean. Early bird enjoys 5% discount when booking 180 days in advance. Last minute bookings enjoy 10% discount when checking in before 26 Dec 2016.